I was helping another artist choose a frame for her painting for the show. A woman in the shop became involved in the discussion. She was framing her husbands painting, who she described as one of The Scottish Contemporaries. The other woman replied – ‘Yes, there are only two kinds of artists amateur and professional’ or words to that effect. She wasn’t being snobby (well maybe slightly) but she was just stating a perceived truth! 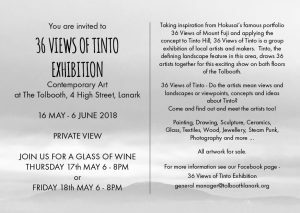 Come and see the 36 Views of Tinto Exhibition at the Tolbooth, Lanark if you are in the area – where local artists have put their heart and soul into interpreting Tinto our local much loved landscape feature. Maybe you will find something you want to own. 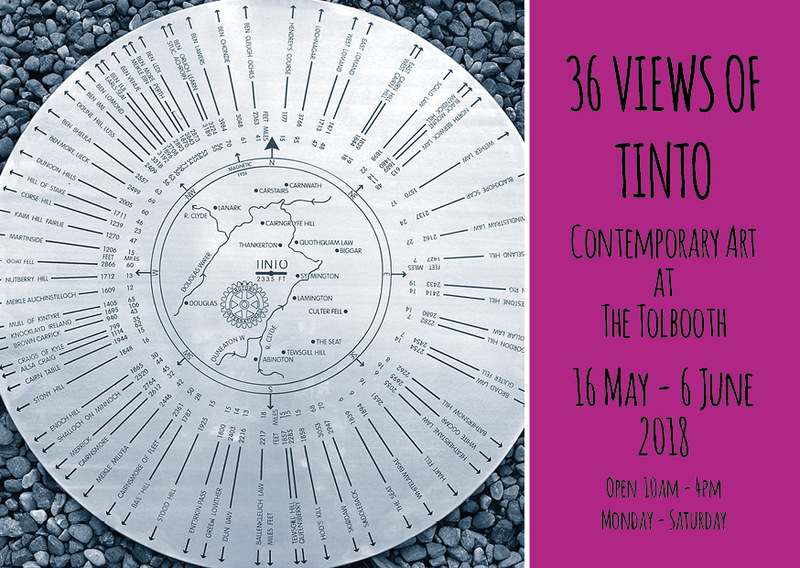 It is going to be a great exhibition! Look forward to seeing you … and by the way, my friends painting is very good and I am sure it will be snapped up!